Right to Dream are returning this summer to defend their Junior title at SuperCupNI, the youth tournament formerly known as the Milk Cup. 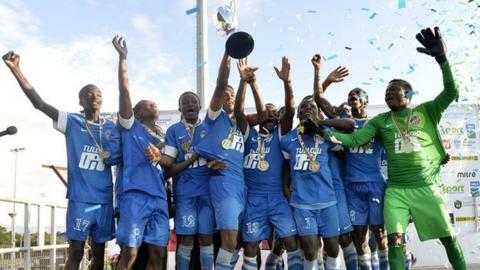 The Ghanaian academy is targeting a double this year by also sending a team to compete in the Premier Section. Right to Dream showed their class in the 2015 Junior decider with a 7-0 hammering of Southampton in Ballymena. "The brand of football they delivered at our event was breath-taking," said tournament chairman Victor Leonard. He added: "Last year we were all anticipating something special from Right to Dream given their amazing track record across Europe with victories against academy teams from Manchester United, Arsenal and Barcelona. "So many Premier League clubs were eager to host Right to Dream at their academies, such is the reputation for excellence that they have established across the world." Lusaka from Zambia will also be back at the Northern Ireland tournament, playing in the Premier section for a third successive year. The draw for the tournament will take place in Belfast next month with the competition staged in the last week in July.